There has been an important Jewish community in Kiev for more than a thousand years. The earliest record of Jews living in Kiev is the so-called Kievan letter: a call addressed to the Jewish communities of the world to raise funds to help the Kievite Ya'akov bar Chanukah (10th century). Another record says that in 986 Jews from the Khazar Kaganate arrived to Prince Vladimir to persuade him to convert to Judaism. In the new city walls there were Jewish Gate, which adjoined the Jewish quarter. At the turn of the 20th Century, Kiev was one of the most important centers of Jewish culture in Eastern Europe. Jewish synagogues, schools, businesses, and markets were prominently represented in a city where Jewish businessmen, engineers, scientists, teachers, doctors, lawyers, writers, artists, and tailors all lived and prospered. Among them famous writer Shalom Aleichem, Isaak Babel, Joseph Mandelstam, and Ilia Erenburg. Political leaders of Israel – Golda Meir and Yefraim Katsir – were born in Kiev. 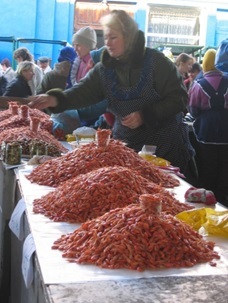 09:00 – 18:00 City tour Kiev. We start from exploring Podil, once the most known Jewish settlement of Kyiv and busy trade center. Our next destination is “Old Kyiv Hill” and everything relating to Jews lived and worked there; finally we move to “Bessarabsky Quarter” the place where Golda Meir was born and Shalom Aleichem lived in Kyiv. 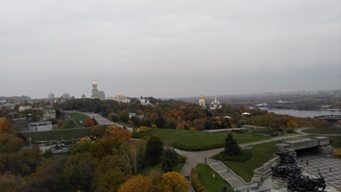 In the course of the tour you will get acquainted with Jewish heritage, culture and the most prominent citizens of Kyiv including Shalom Aleichem, Golda Meier, Yakov Kapler, Joseph Mandelstam, David Margolin, Lazar Brodsky. 09:00 – 12:00 We start with Baby Yar, that is known to humanity as the scene of one of the bloodiest crimes committed by nazi in September 1941. You will see the monuments created to commemorate those thousands of Jewish & Ukrainian people who perished during the Nazi occupation of Kyiv. We finish Kyiv’s part of the tour by visiting Galitsky Synagogue. 13:00 – 19:00 Drive to Khmelnitsky. On the way we have a number of interesting stops including Berdychiv - The city-monastery, the city-fortress, the city-joke, Volyn Jerusalem. The first mention of the Jews of Berdychiv dated 1593. In the 18th century the community of Berdychiv is one of the largest and most influential communities, the city was called "Volyn Jerusalem". By 1785, Berdychiv acquired the status of one of the centers of Hasidism in Ukraine, Rabbi Levi-Itshok from Berdychiv one of the legendary Hasidic personalities. His grave is still there. From 1798 a Jewish printing house operated from the beginning. 19th century Berdychiv was the center of Jewish book printing in Ukraine and Russia. One more stop on our way to Khmelnitsky is Medzhybizh. 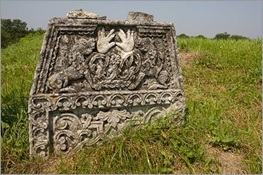 Jews settled in Medzhibozh at the end of the XV - beginning of the XVI century. In 1509, King Sigismund I the Old appointed Medzhybozh Jew Lieberman as a royal tax collector with a privilege to report directly to Royal authority and not accountable to any local rulers. 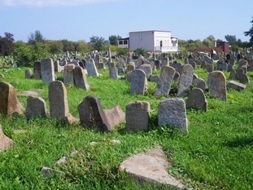 At this time, a Jewish community grew in Medzhybizh and Jewish cemetery was created. In 1566, King Sigismund II Augustus confirmed the privileges of the Jews, exempting them from taxes and duties. 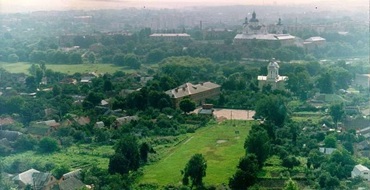 In 1570, the Jews of Medzhibozh owned 70 houses in the city center. From the second half of the 18th century Medzhybizh became the most important center of emerging Hasidism. In 1740-60 in Medzhibozh founded the first Hasidic community Israel ben Eliezer Baal Shem Tov (BeShT), which is reflected in many legends and traditions. 09:00 – 16:00 Drive to Lviv. On our way we stop in Sataniv. Jews lived in Sataniv from the 16th century and Synagogue of Sataniv is considered the oldest in Ukraine. 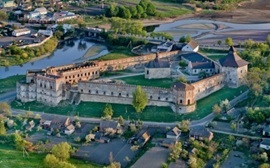 It was built in 1514 in the Renaissance style and also served as a fort to defend the town. 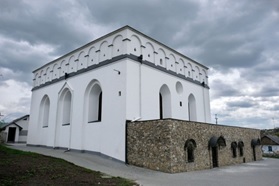 In 2014, the synagogue was restored and museum should be open there in the future. 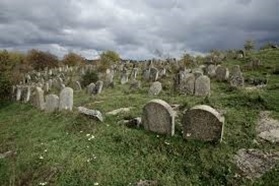 Another attraction of Sataniv is the old Jewish cemetery. Most of the tombstones are true piece of stone-cutting art. 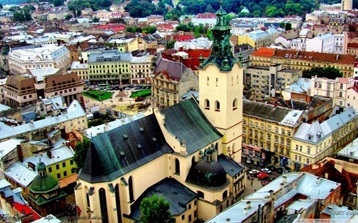 Lviv is a city in western Ukraine, around 70 kilometers from the border with Poland. Founded in the 13th century, traces of its Polish and Austro-Hungarian heritage are evident in its architecture, which blends Central and Eastern European styles with those of Italy and Germany. Its ornate buildings and bustling street cafes are reminiscent of Vienna or Prague. Until the early 20th century, a variety of ethnic groups including Poles, Ukrainians, Jews, and Germans lived side-by-side with relative ease. Jewish life flourished alongside Ukrainian culture and literature.The end of World War I and the resulting collapse of Austria-Hungary, of which Lviv had become a major hub, set off a dizzying string of events that culminated in the horrors of World War II. Beginning in the late 1920s, a militant strain of Ukrainian nationalism rose partly in response to harsh Polish rule, sparking inter-ethnic violence. When the Soviet Union annexed this region in 1939, it deported hundreds of thousands of Jews and Poles east as part of its state-sponsored terror, which also targeted the local Ukrainian intelligentsia. The Nazi invasion of the Soviet Union two years later virtually eradicated the Jewish community of at least 100,000 people, or a third of the local population. Sensing an opportunity to secure long-awaited statehood, Ukrainian nationalists collaborated in varying degrees with the Nazi occupiers. Some elements staged mass pogroms against the Jewish and Polish communities, while their struggle later shifted against both Nazi and Soviet rule. The nationalists were persecuted after Soviet Union won the war. It is still complicated history and relationship between Poles, Russians, Ukrainians, and Jews but the citizens are working on put the tragic history behind and commemorate its many victims. During our walking tour we will see the architecture of typical Austrian streets, as well as faceless Soviet-era buildings and modern dwellings. 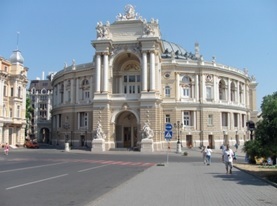 Highlights of this tour include visits of the Opera House, built in the classical tradition with Neo-Renaissance details, Jewish quarter, Market Square – the hub of Lviv life from the 14th to 19th centuries, former Jewish sector and Ghetto, a monument to victims of the Ghetto, the ruins of the former “Golden Rose” Synagogue. We also visit exposition “Relics of the Jewish World of Galicia” opened in March this year. We have 2 stops on our way to Chernivtsi. First we drive south from Lviv to visit Drogobych. The first Jews settled in Drohobych in 1569. In 1578, the king of Poland, Stefan Batory, forbade Jews to live in Drohobych, hold rent and trade in the city and its surroundings, with the exception of trade-fair days. Whereas in 1664, Drohobych Magistrate and the community leadership agreed that the Jews were allowed to maintain ten shops and two taverns in the city, as well as to sell products that did not compete with the products of the Christian workshops. In return Jewish community was supposed to pay annual tax of 200 zlotys. Since then Jewish community of Drogobych has been constantly growing. In the course of our tour of Drogobych we visit old Synagogue built in 1865 and completely restored in 2017. During the occupation, Schulz got killed in ghetto only one day before his planned escape from Drogobych with forged ID. founded, its owner, Hetman Pototsky, allowed Jews to settle freely in the city, and gave them half of the city’s slaughterhouses. Jewish merchants (competing with Armenians who appeared in the city at the same time as them), tenants, taverns and craftsmen started their business there. A Jewish street appeared on which a wooden synagogue was built no later than 1672. Upon arrival we enjoy a short walking tour of the city. You will see the Market square and the City Hall, we walk along the main pedestrian street with a customary name "a Hundred meters street" – once the center of Jewish life in the city. Chernivtsi is a small but incredibly cozy and beautiful city. The first mention of the Jews dates back to 1408. In the 15-17 centuries. The Jewish population of Chernivtsi grew steadily: Ashkenazes resettled from Poland, Sephardic from Moldova. The cultural influence of the Ashkenazi prevailed. In the second half of the 18th century. - early 19th century a number of synagogues and prayer houses were opened, in 1770 a Jewish cemetery, in 1791 a community hospital. According to the census of 1910, 28,013 Jews (32.8% of the total population) lived in Chernivtsi. Economically, the Jews of Chernivtsi dominated the city - they founded industrial enterprises and banks, had a decisive influence on the development of Chernivtsi in all spheres, including cultural, sponsoring cultural events. Among the Jews of Chernivtsi there were many intellectuals, most of whom received higher education in the best universities in Europe. In the Franz Josef University, which opened in 1875 in Chernivtsi from 1891 to 1914. the five rectors were Jewish, and a large number of Jews were trained. At the beginning of the 20th c. Jews constituted more than 50% of university professors, 58% of doctors, 76% of lawyers. On our tour we explore the main attraction of Chernivtsi - the University (UNESCO heritage site), the former residence of the Orthodox metropolitans of Bukovina and Dalmatia. You may ask how come Jews relate to the residence of Orthodox metropolitans? It turns out they do! And you will see youselves. We also visit Jewish cemetery and the Synagogue. 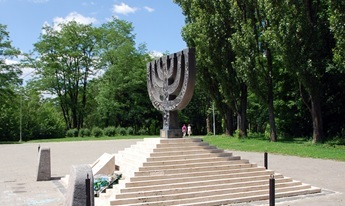 The history of Chisinau is closely linked to Jewish culture. Jews made up about 46% of the population of the city by the end of the 19-th century. In 1918 when Moldova joined Romania the city had quite a few Jewish schools, hospitals and 77 Synagogues. 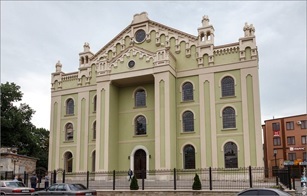 During our tour we visit and get acquainted with the most significant places of Jewish heritage in Chisinau, including former Choral Synagogue, former schools Talmud Tora. Jewish history museum and old Jewish cemetery are also on our agenda. 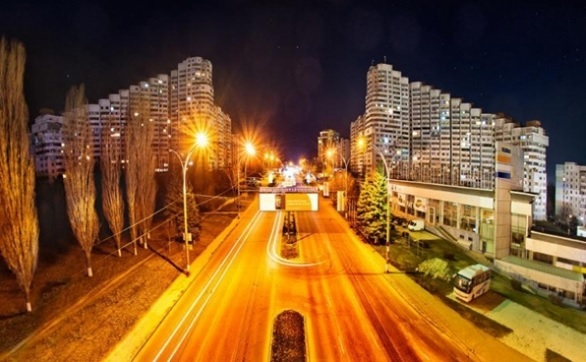 Odessa can be considered a proud descendant of those who suffered through Pogroms and Holocaust and Communist repressions, who built this city, who immortalized it in songs poems and architecture. Since its foundation, Odessa has been a cosmopolitan city. Big communities of Greeks, French, Polish, Italians, Jews, Russians, and other people have existed here. It became the first city of the Russian Empire, where Jews could settle. You'll visit almost all-important sites of Odessa and learn the history of the Odessa Jewish community, dark days of Holocaust, and get acquainted with modern Jewish Odessa. Visit of synagogue, Holocaust memorial, places connected with the life and activity of famous Jewish people who lived there.This Jewish Heritage tour outlines the development of the Jewish Ethnic Community along with the development of the city itself. 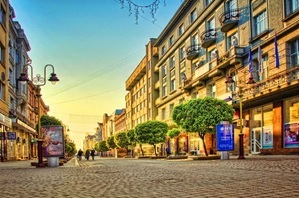 Comprehensive tour reveals all the sides of life of the Jewish community of Odessa, its Golden Age and dramatic moments of Pogroms and Holocaust. Prominent people who lived here are Vladimir Zhabotinsky, Emil Gilels, Sholom Aleichem, Mendele Moyher Shorim, Leo Trotsky. 10:00 – 17:00 full day tour - Continuation of the city tour, visit of the Holocaust Museum, Jewish Museum of Odessa, Catacombs, and Privoz Market. 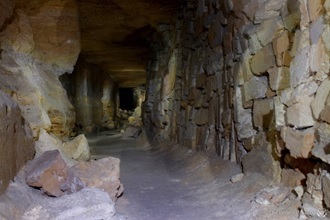 Odessa's Catacombs is really a Hidden Jewel in Ukraine. The 1,500-mile-long tangle of corridors and rooms under Odessa wraps under and over and in upon itself. Tunnels and rooms has the 1 square kilometers. If it were laid out in a straight line, the labyrinth would stretch five times longer than the world's second largest catacombs, underneath Paris.No one knows how old Odessa's network is, but the catacombs were greatly expanded in 1794, when Catherine the Great sought limestone to build her city by the sea. Odessa, from the moment of a birth, was under construction on a stone of a shell rock which was extracted from the underground. Therefore, under the city underground labyrinths were formed. They store secrets of the past: Criminal Odessa and heroic Odessa the guerrilla of the period of occupation of Odessa during WWII. The temperature in the Catacombs is +15C all-around the year so bring some warmer layers. markets in the world. It is filled with both new and old items – cheap bargains and extravagant luxuries. Even if you do not want to spend much money shopping, a visit to the Privoz Market is recommended since it is an excellent way to experience the local culture. Please watch out for pickpockets!